Captain Marvel Strong entry of new superheroes has won the hearts of people. It is believed that Captain Marvel is one of the most powerful and superpower with superheroes in Avengers. 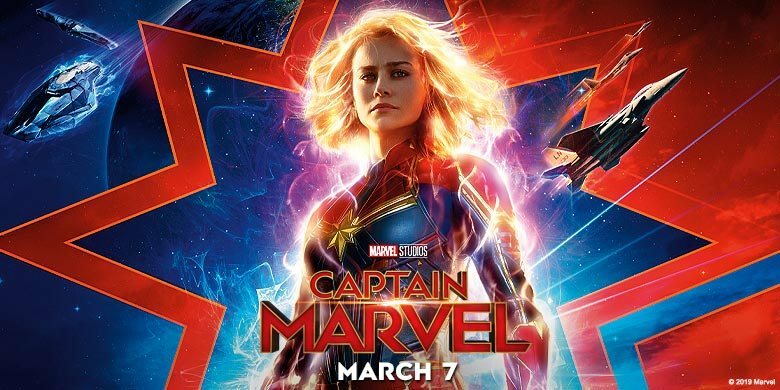 The female superheroes have been shown on the screen in such a way that the spectators present in the cinema hall will not be able to stop themselves without applause. However, if the whole movie looks like eating it then it will be faded in the story. That’s because, the number of superheroes in the Marvel series, they are born with some new twist and a strong story, but it does not seem to have any kind of excitement for the next part. Hollywood actress Brie Larson has judged the role of Captain Marvel. If Superhero compares the reason for the birth of Captain Marvel to the previous superheroes, it would prove to be a little less. The story of Captain Marvel starts a little further. In the spacecraft named Cree, there are Powerful Women named Carol Danvers, who have such powers that they cannot recognize. Cree calls him in the spaceship by the name of the VERS, because there is a twist behind it. There is tremendous power to throw a fireball in the hands of Carroll. However, he could not use it properly. In her (Carroll Danvers) dream, Doctor Larsen comes, who is a pilot of a fighter plane. Captain Carroll during a battle with a spaceship named Skrulls, where the head of the Scrumbs wants to get information from his mind. After that, he tries to escape from there and goes straight to the ground, which Cree Spaskraft people know by name as the ‘C-53′ planet. Carroll gets a new world here, where many tales of his life are hidden. Here he arrives in 1995 and wants to remember again the incident of 1989 after 6 years, but Carroll does not remember anything. Then how will Carroll make Captain Marvel, to know the story next to it, you have to reach the cinema theater to see the movie. How Captain Marvel is born and how to make Powerful Woman from week woman; the story is exactly like the previous Avengers’ superheroes. There was no new look in the film. In the first part of the film, the character passes stabilizing and the story seems fuzzy. Although laughs too many times during verbal convergence After stabilizing the film in the second part, the real power scene of the spectacular action sequence and Captain Marvel was seen. From today’s 25-year-old story, to accompany Captain Marvel, Nick L. Jackson also appears who also accompany to his last time. Between them, the story looks weak in between. The climax scenes are tremendous and the story is added to the fourth part of the Avengers ‘Endgame’. The Avengers’ diehard fan, then this film is absolutely for you. Apart from this, following Marvel’s superheroes, this story is very important to add further. So it is necessary to watch this movie. However, the story has been shown to be similar to the previous Marvel series films. The Avengers’ diehard fan, then this film is absolutely for you. Apart from this, following Marvel's superheroes, this story is very important to add further. So it is necessary to watch this movie. However, the story has been shown to be similar to the previous Marvel series films.